This is a local race that is in our backyard. 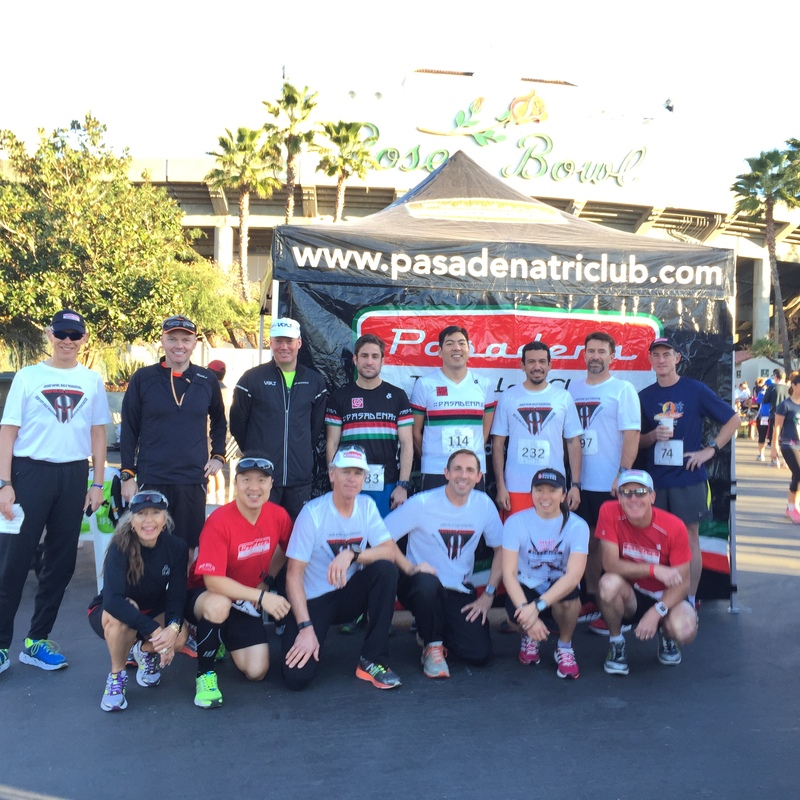 Pasadena Triathlon Club cleaned up on the podium. 8 winners in the half marathon and 5k. Age groupers and over all. It was amazing race day for the Club. Lynda and Bill are Queen and King! PeterN won the 5k overall. Lynda, Bill, Yuri, Luis set up a great event. They worked a terrific spot in the Event Expo, right in the front of the Stadium. Coffee, muffins and great place to hang out before and after the event. This was half road race and half trail race. Difficult and NOT flat. 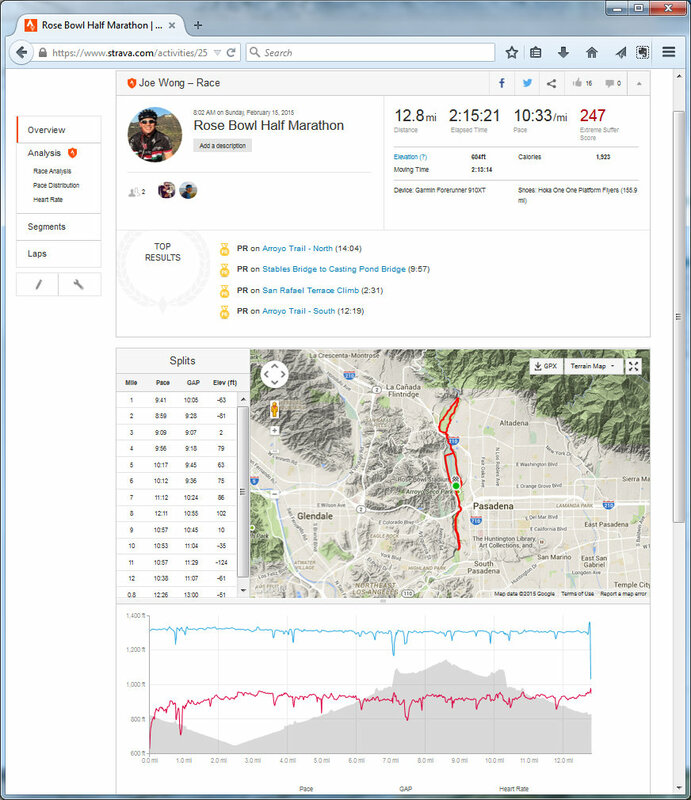 The race started at the Rose Bowl stadium and headed south along the Arroyo Seco to South Pasadena. We crossed the bridge and came back up to the stadium. We ran up the east side along the Brookside Golf Course. We headed up the trails, up a very steep trail to Devil’s Gate Dam. We ran up the Hahamongna Watershed Park to the end of the JPL parking lot. The trail looped around the park and back down the Dam and around the west side of the Brookside Golf Course. 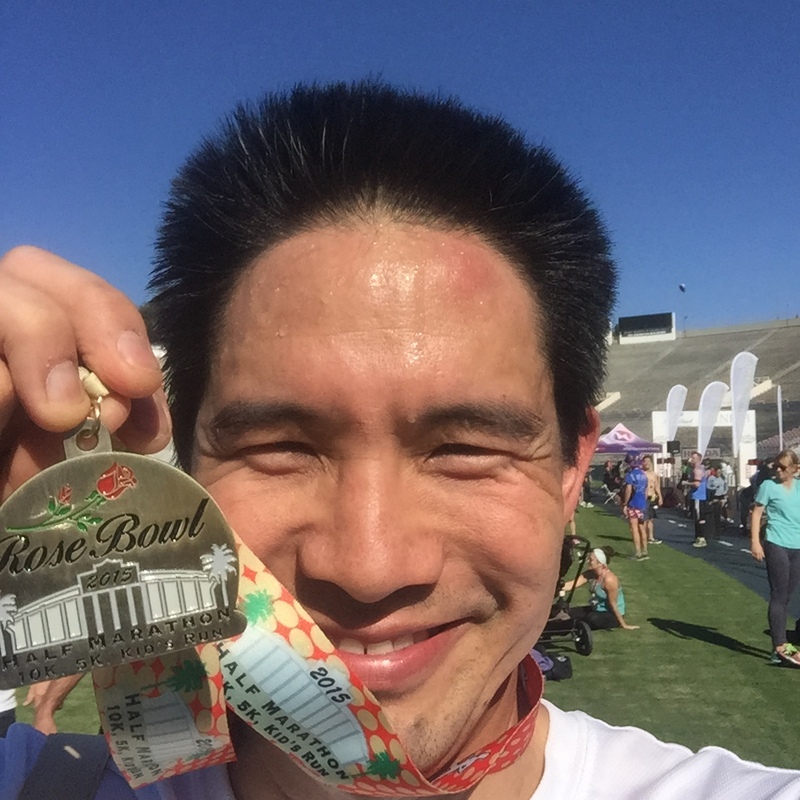 The race ended at the 50 yard line in the Rose Bowl. It was great. We collapsed and recovered a bit on the football field, awaiting the rest of friends to finish up. Then, we walked back to the PTC tent and watched the podium ceremony and cheered all our friends. Winners: Allison, Amy, Bill, Lynda, Gregg, Mike, Jeff. (and PeterD, not pictured). Also there, but not in pic: Gio, LisaL, LisaA, Corinna, Barry, Johnna, PeterN. Pictures in reverse order. From finish to start. Corinna and Kim were a life saver for me. While my tummy was gurgling, I was walking. They helped me run it off and finish strong. Damn, your tri group killed it. Congrats on the race!